For a brief text message alert, enter your mobile number and confirm below. Standard text messaging rates apply. 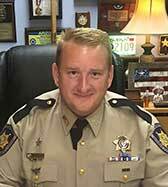 Text messages will come from 470.219.3777 or short-code 96167 (from Monroe Sheriff AR).